Please welcome back Scott Freiman of Deconstructing the Beatles! He wowed us in 2017 and 2019 is going to be great with talks on Abbey Road at 50! Scott Freiman may be the only person to have sold out Carnegie Hall and been a Finalist for Ernst and Young’s Entrepreneur of the Year. He is also an internationally recognized expert and lecturer on the music of the Beatles. 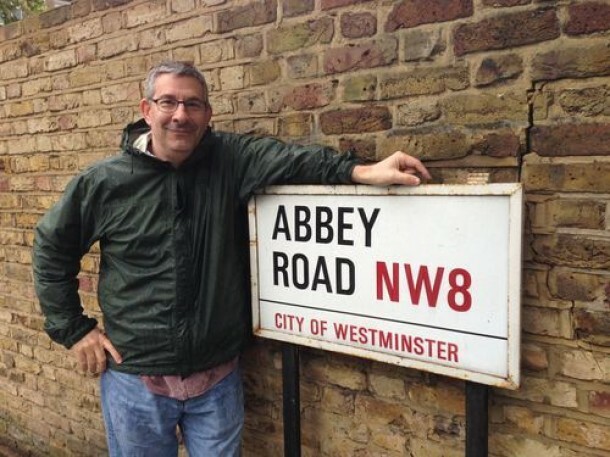 Mr. Freiman is the creator of Deconstructing the Beatles, a series of multimedia presentations about the composition and production techniques of the Beatles. Mr. Freiman has presented his lectures to sold-out audiences at theaters nationwide and has spoken about the Beatles at colleges, universities, and corporations, such as Pixar, Google, and Facebook. In the Fall of 2012, Mr. Freiman taught a semester course on “The Beatles In The Studio” at Yale University. Mr. Freiman’s insights into the music of the Beatles can be found in the book All the Songs: The Story Behind Every Beatles Release published in October 2013 by Black Dog and Leventhal. Mr. Freiman also writes about music and "deconstructs" songs and bands for Culture Sonar (culture sonar.com). Mr. Freiman is the co-founder and CEO of Qwire Inc., a technology company that provides collaborative tools for everyone who works with music to picture. Qwire’s software is used to streamline music tracking and rights management for many television series and films. Previously, Mr. Freiman was the co-founder and CEO of Credit Management Solutions, Inc., a publicly traded financial software and services company and one of the earliest e-business successes. In 2001, Mr. Freiman orchestrated the sale of the company to First American Financial. Mr. Freiman left CMSI in 2001 to pursue his dream of becoming a full-time composer and producer. His first film scores, written within months of leaving CMSI, were performed by an orchestra live with picture at Lincoln Center in New York. Mr. Freiman composed music for more than ten films, as well as the Emmy®-award winning eleven-part BBC/Discovery series Life. He also acted as sound editor and mixer on many films, including the first 3D made-for-television film, David Attenborough’s Flying Monsters, and the award-winning films Encounter Point and Budrus. In September of 2005, Mr. Freiman’s sold out Carnegie Hall concert of original music featured a 17-piece orchestra and a children’s choir. Mr. Freiman also built Second Act Studio, a state-of-the-art music and video studio for composition, recording, and production designed by renowned studio architect, John Storyk. Second Act Studio played host to a wide range of musicians -- from children to Grammy winners, such as bassist John Patitucci and the Tokyo String Quartet. Mr. Freiman also produced, arranged, and played keyboards for many artists and served as producer on recordings recorded and mixed at Second Act. Mr. Freiman holds a B.S. in Computer Science and Music from Yale University and a Masters of Music Composition from New York University. Mr. Freiman is married to Allison Fine, an award-winning writer and speaker. He has three children, Maxwell (22), Zachary (20), and Jackson (17). Mr. Freiman divides his time between Sleepy Hollow, New York, just outside New York City, and Marina Del Rey, CA.